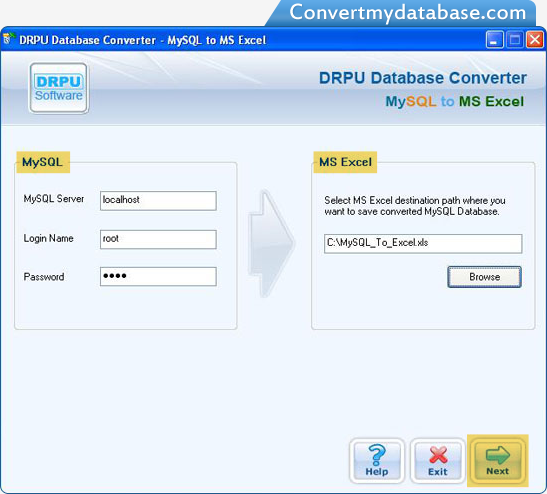 Enter MySQL Server, Login Name, Password, select MS Excel destination path, and click 'Next' button. 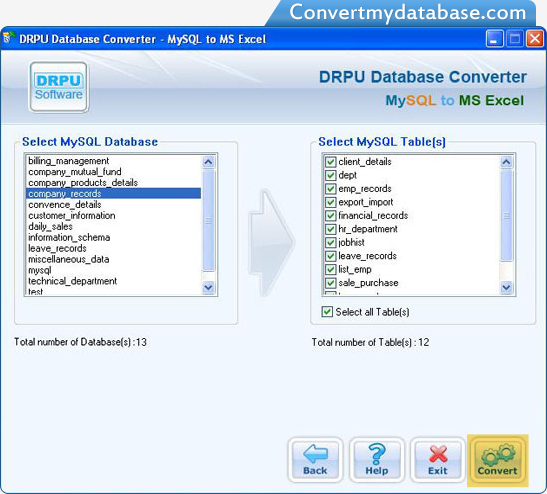 Select MySQL Database, MySQL Tables, and click 'Convert' button. 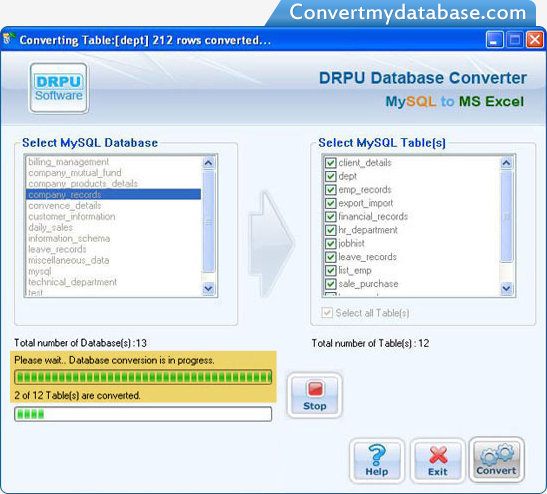 Conversion process is going on.